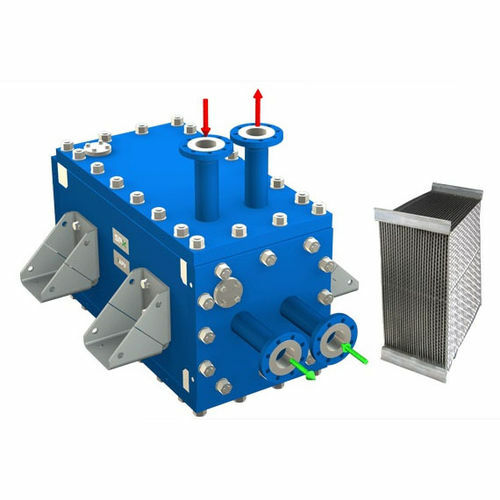 Based on a multi-flexible configuration, the APV Hybrid Fully Welded Plate Heat Exchanger is designed to operate under harsh conditions and high temperatures. A smaller footprint and easy access makes the high-pressure cleaning of the Hybrid plates fast and effective. The Hybrid Welded Plate and Frame Heat Exchanger was created for severe conditions where other technologies are prone to failure, short operating lifecycle, or reduced operational efficiency. The APV Hybrid can be mounted horizontal or vertical and includes 6 basic models, each available in various standard configurations.